Are you trying to escape the cold weather of your winter? Are you feeling the effects from a lack of sun? Wishing to transport yourself away from cold winter weather into a land of bright, warm sunshine? November through March can be some of the harshest months for those farther north in America, Canada, and Western Europe.If the cold winds are blowing a little too strongly this year, consider taking a trip to Morocco. A beautiful escape to North Africa can give you the boost of Vitamin D you need to make it through the cold! This is to say that Morocco is hot all year – see our weather guide to get an idea of what to expect each month. However, even though it won’t be hot, Morocco does get a lot of sun throughout the whole year. 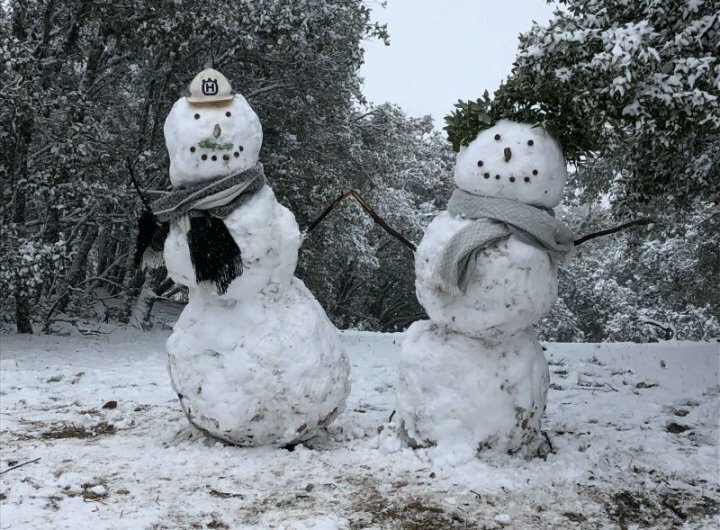 There are many advantages to traveling to Morocco during the winter. When imaging a trip to North Africa, or more specifically Morocco, the ideas that come to mind are probably more along the lines of hot temperatures and blowing sand dunes. 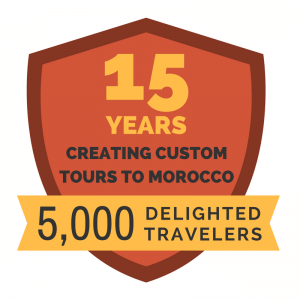 If you choose to come to Morocco in the cooler months, you can still experience all of the perks without the blazing weather that most come to associate with this part of the world. With plenty of sunshine to go around, you’ll be able to get that lovely, reviving breath of fresh air while avoiding the extreme heat which comes in summer months. One of the major advantages to coming to Morocco during the winter months is that it will be quieter and there are less tourists. Don’t be fooled though, there are still plenty of outdoor activities, sights and attractions to explore in winter–including snow skiing! This impressive mountain range runs down the length of Morocco, giving rise to an amazing abundance of outdoor activities for all seasons. In the warmer months, you can escape the heat as you climb higher into the range. But what you can only experience in winter is the beautiful snow that comes to cover their jagged peaks. The cold weather hits the mountains and turns into that magical white powder that transforms their glory into a winter wonderland. Choosing to add a night or two to your trip is something you won’t regret! The gorgeous natural beauty is sure to leave you feeling awestruck and renewed. And what activity comes along with snowy conditions? Skiing! Yes, beaches and desert dunes should be a part of your trip to Morocco, but skiing or snowboarding can be as well! Africa might not be normally associated with skiing, but we’re here to let you know that Morocco might just surprise you at all it has to offer. Start to think outside of the box! If you would consider yourself an expert skier and you’re looking to see the best Morocco has to offer, you might want to think about exploring the option of heli-skiing or trekking in deeper to the Atlas Mountains. Rather than going the traditional ski resort route (as we’ll talk about below), you can get to experience long runs of over 3,000 feet / 915 meters in length via helicopter. Choosing to go the helicopter route enables to you access the most remote and untouched parts of nature. Pristine peaks await you! 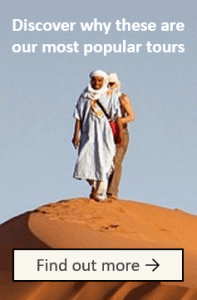 If you choose to go a different route, trekking in can give you unique access to Berber people and culture that most don’t get. 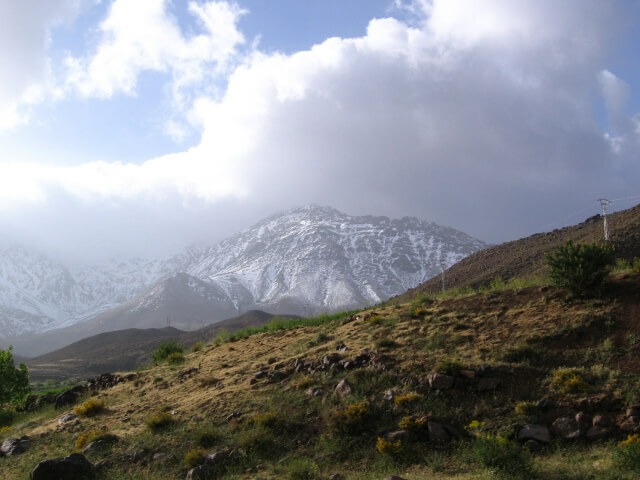 Organized trips through Berber villages in the Atlas Mountains often feature homestays or meals with locals. There are many different options as far as more extreme and adventurous trips go, from one day trips to package deals including guides, meals, and accommodations. 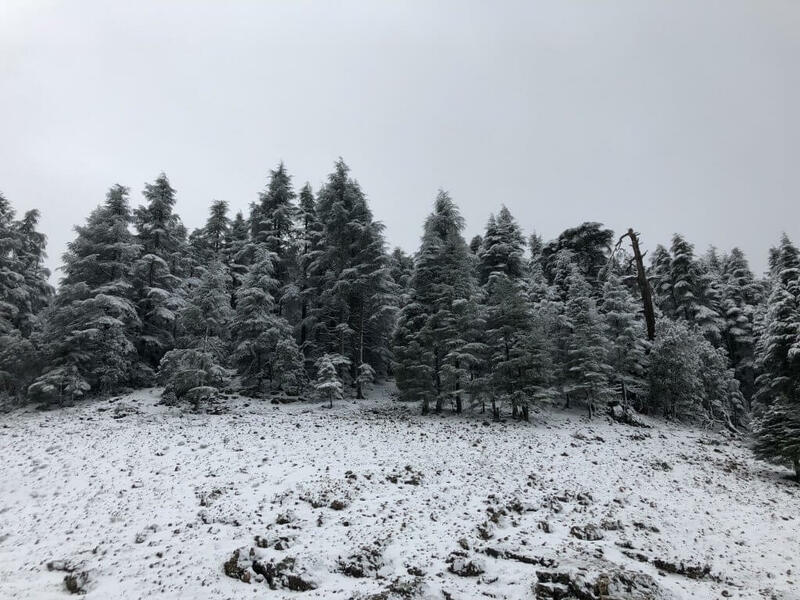 One place where travelers are able to embrace active winter activities is in Oukaimeden, a ski resort located about 80 kilometers / 50 miles from Marrakech. Oukaimeden is Morocco’s only true ski resort and the continent’s highest at an elevation of 8,530 feet / 2,600 meters. This charming ski area has six ski lifts and ski rental facilities. You will also be able to find overnight accommodations, if you’d like to extend your stay for just a little bit longer. 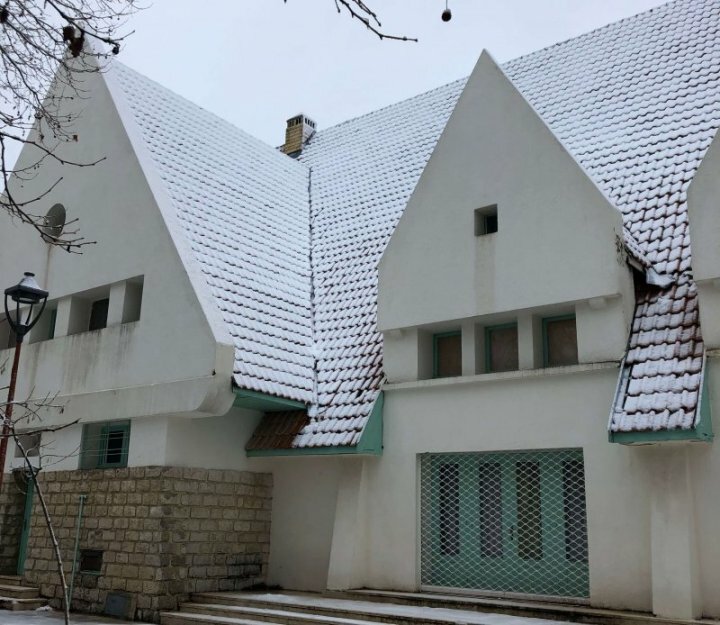 Another option is Ifrane, a small town with a European appearance. 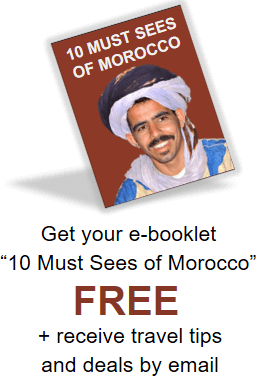 It’s affectionately known as the “Switzerland of Morocco”. The style of buildings and homes around the town will make you feel as if you’ve been transported from Morocco to a village in the Alps. If Oukaimeden seems a little bit too intense for your tastes or experience levels, Ifrane is a great possibility for less serious skiers. Be aware that the quality of skiing in Morocco is completely dependent on the snow and the temperature that month. The snow is all natural and not artificially created. In some places, you may use a mule instead of a ski lift, making it even more of a unique adventure! Open your mind to what a ski trip might look like on a different continent. You never know what great adventures you might come across! The Sahara is one of Morocco’s main tourist attractions. With the Sahara Desert being named one of Africa’s Seven Natural Wonders, it’s no wonder why this sandy stop is a must-see for anyone taking a trip around the country. Miles of golden dunes stretch as far as the eye can see! Rolling hills of varying shades of orange meet a bright blue sky that seems to go on forever. Not only is the desert absolutely spectacular from an aesthetic perspective (with boundless opportunities to capture the perfect picture!) but the number of activities available might just surprise you as well! It’s time to think outside the box of what you’ve thought the Sahara Desert is like. I’m sure you’ll find that if you open your mind and heart, you’ll come to find that your preconceived notions are too limiting for such a limitless place! Adventure and exploration are around every corner of Morocco. Visiting the Sahara Desert in the summer can be nearly unbearably hot during the day; in the winter, you are able to enjoy the dunes all day long. If you’re interested in more active pursuits, you can try out the desert version of your common winter favorites with sandboarding and sandskiing. One of the largest sand dunes is the Erg Chebbi dunes. Close to the desert city of Merzouga, you can choose to stay in a hotel along the edge of the dunes or try out the more traditional tents! Camel trekking out on camels into the sand dunes gives you an authentic experience unlike anything else! Some tented camps are further in the dunes, which you can get to via camel, 4x4s, or all-wheel drive vehicles, depending on your needs or desires. Don’t forget to bundle up for the colder mornings and evenings, especially so that you can take in the unbelievable beauty of the setting sun, bright nighttime sky full of stars overhead, and the early morning as a new day dawns in the Sahara. 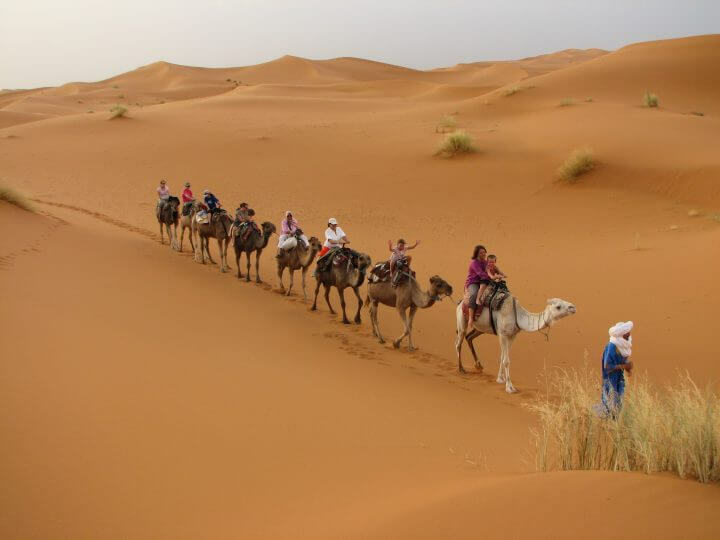 The Sahara Desert really shouldn’t be missed, so be sure it is on your itinerary for your tour! Essaouira is a beach resort area which is normally filled with tourists on the beaches during the summer months. During winter, it is a more relaxed area, offering you a way to explore the area without the crowds. Once you arrive, you’ll be immediately put at ease by the relaxed atmosphere of this coastal town. The bright blue and white that colors the medina creates a small haven, a place where you are free to wander and explore without any pressure. In other cities in Morocco, like Marrakech or Fez, you will likely have a more interactive experience as you walk down the streets. But in Essaouira, shopkeepers are more often than not happy to let you take a look around, browse, and spend all the time you like while they hang back. Taking a stroll down the sunny streets and alleyways is as peaceful as can be! Live and let live. But once it’s time to buy, remember to pull out those bargaining skills! This is still Morocco after all, and haggling is no doubt still the best way to get the price you’re looking for! 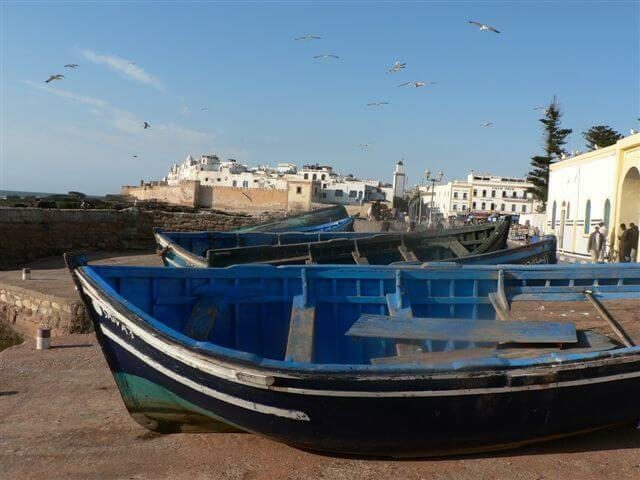 While the medina is kept calm and serene because of the large city walls, once you head out you’ll understand why Essaouira has come to be known as Morocco’s windy city! While enjoying restaurants, art galleries, and shops, the break from the wind ensures a relaxing time. And once you’re ready to hit the beach, the wind comes in handy for kitesurfing, windsurfing, and surfing. You can rent equipment or even sign up for local lessons. When booking your accommodations, check to see what activities are offered through your hotel or riad. Or, if you’re booking a tour through a travel agency, talk to your representative about options for your winter time stay in Essaouira. When in doubt, the natural beauty of the Atlantic ocean and this city’s pristine beaches can’t be beat. Let the wind keep you cool as you enjoy the coastal scenery. While the imperial cities remain busy throughout the year, there are less tourists on the streets during the winter months. You can explore the endless options of history, culture, food, and shopping without the added stress of summer heat. The cooler months will give you beautiful days full of sunshine and lovely daytime temperatures. Nighttime will make the chill feel a little bit colder than you might expect, but it won’t cause any problems with the help of a warm scarf and jacket! Marrakech offers you its famous square, the Jemaa el-Fnaa as well as the historic 14th century islamic school Ben Youssef Madrasa. The Saadian tombs are another great option to get to know the historic side of the city. If you’re looking for more time out of doors, check out the Menera Gardens, Majorelle Gardens, Agdal Gardens, or the Koutoubia Mosque and it’s accompanying gardens. Soak up some high-quality Vitamin D and take advantage of the beautiful flowers, tilework, and trees that tell the story of life in Morocco! And at the end of a long day of travel, Marrakech’s riads have some of the best the country has to offer in terms of spa treatments. From the traditional hammam experience to luxurious modern amenities, you won’t be disappointed by what they have to offer! Casablanca has long been held as a city of romance, as popularized by the classic film of the same name. While the reality of this major city is much different than the imaginings from pop culture, it does allow you to see the more metropolitan and modern side of the country! As an industrial hub, there are more international restaurants to taste and try, especially if you want a break from eating Moroccan food along your trip. Like Marrakech, you can take advantage of luxury spa treatments at the beautiful Kenzi Hotel to rejuvenate from a long winter! Or, like Essaouira, you can head to the beach, like the popular Ain Diab or La Corniche. Don’t miss an opportunity to stretch your legs and soak up the bright winter sun! If you’re interested in more cultural activities, you should most definitely make time to visit the famous Hassan II Mosque. From the small number of Mosques that non-muslims in Morocco are allowed to visit Hassan II is one of the best! Not only is it the largest mosque in the world, but the amazing attention to detail makes it also one of the most ornate. Tours are offered throughout the day to visitors, except on holidays or Fridays. Make sure to dress appropriately while visiting, which in this case means covered arms and legs, as well as a head covering for women. With the option of visiting these imperial cities in the winter months, you can explore the medinas in comfort, wandering the narrow passage ways, and buying souvenirs and items at the traditional souks without the pressing crowds. Most Moroccans don’t celebrate Christmas, though you may see Santa Clauses and fake snow in some store windows in the cities. There are New Year’s celebrations in the larger cities, and you may have the option of having a fancy dinner at your riad. 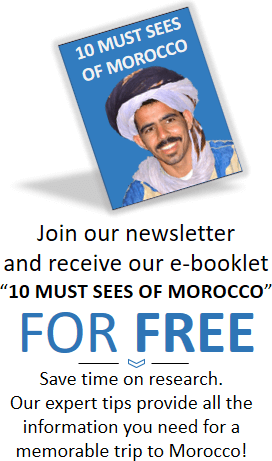 Check out our post on holidays in Morocco for more information. Though you will most likely get lots of sun during the winter months of Morocco, the temperatures will be cool. Be sure to bring lots of layers so you can stay warm! As you travel around the country, you’ll experience a variety of climates. It’s best to be prepared with different layers in order to acclimate to each setting. Check out our packing list for more help knowing what to bring!